Note: This article is part of a series about motherhood. The series isn't intended to imply that motherhood is any holier than other vocations, but instead to encourage those who feel that they are swimming against the stream of cultural pressure by getting married and having children. To say that I do things in a hurry is an understatement. I walk fast, I talk fast, and I married my husband ten months after meeting him. To top it all off, a mere two months after that I was buying What to Expect when You’re Expecting and confirming with a friend of mine that she could, indeed, pass her crib off to me. Since the moment I first began to suspect I might be carrying a baby I was nothing but completely ecstatic. I intentionally waited to take my pregnancy test on a Saturday so that I wouldn’t have to go to work and my husband wouldn’t have to go to school, and I could hardly sleep the night before. As soon as those two pink lines appeared I began shaking. My husband was still in bed (it wasn’t even 6am yet) but it didn’t take long for him to wake up! We were amazed, nervous and overjoyed. Everyone to whom I had confided our plan for marriage and family had said the exact same thing to me: that it would be a huge mistake to get pregnant right away. Family members, my best friend since 3rd grade, my high school friends, my college roommate . . . they all warned me about how unhappy my husband and I would be if we didn’t take a year to get to know one another first. They pleaded with me to see how hard it would be on our marriage if we started having kids right away without taking time for ourselves. I almost believed them. Almost. But I am so glad I did not. I would be lying if I did not admit that I feared getting pregnant for the very reasons my friends presented to me. I was still in the process of discovering that my husband had not seen all three Pirates of the Caribbean movies and revealing to him that I couldn’t cook rice without burning it. Who was I to think I was ready to have a child? Yet being blessed with a child right away has become one of the most wonderful gifts of my marriage. After all, the joining together of a man and woman into one flesh is designed for the unique purpose of bringing forth children. To enter into marriage with the understanding that this one-flesh union is completely open to children is thrilling and liberating, and to be given that child by the Lord in His time is a tremendous comfort and blessing. Children are nothing short of a gift from God, and beginning a marriage not by rejecting that gift but by accepting it shifts the focus of marriage away from the man and woman and towards the giver of life. In the eyes of the world my husband and I are young fools rushing headfirst into something we are completely unprepared for; we are messing up our chance at happiness and shooting ourselves in the foot. Yet is anyone ever truly prepared to be married-- to give completely of herself to another person? 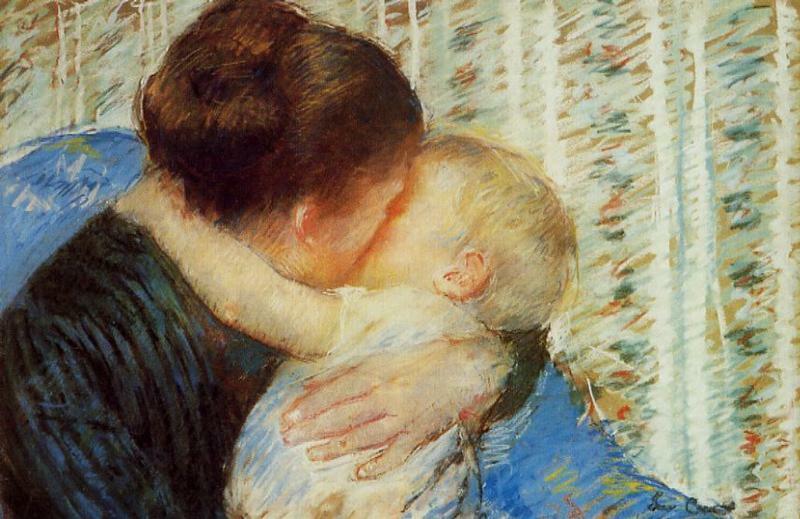 Is anyone ever truly ready to be a parent-- to bring another human into the world and to keep that human alive? I know I certainly was not, nor will I ever be. If all of us waited until we were, the human race would have died out a long time ago. Embarking on the journey of having a baby has not damaged my marriage; it has drawn me closer to my husband as we turn to Christ to care for our child. We pray for our baby and his safe delivery every day, yet we know that if God chooses to take our baby back unto Himself before birth we will see our child one day in paradise. Meanwhile, there has been nothing more intimate than for both of us to lay our hands over the kicking feet (and punching fists) of our baby in the womb. There has been nothing more loving than the look on my husband’s face when we first saw our baby’s ultrasound. There has been nothing more humbling than preparing to raise our child in the faith. It’s true; by January we will not be playing Rummikub for hours at a time, sleeping in on my husband’s day off or reading away a Sunday afternoon. We will be more tired, we will have less time, and our resources will be drained. It may sound tragic to lose so many luxuries so early on in marriage, but we get to start our family in return. And I cannot help but imagine that the joys that come with the growth of our family will far outweigh any happiness we can create for ourselves. I love this! We are expecting our fifth next month and get lots of "advice" on why we should stop. It gets exhausting. 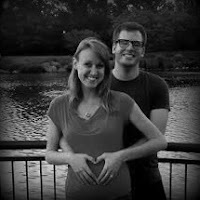 It is encouraging to hear and read about other couples trusting God with their family planning. It is a very difficult thing to do in the fallen and sinful world we live in. I would say you chose the best over the good plan! And myself and the church love you and Pastor and and your son very much. We are blessed to have you! As one who has heard enough disparaging remarks, I say, "Congratulations!" This Maryland family looks forward to meeting yours soon.